Alongside a new visual identity for our second decade, we're thrilled to formally announce a new firmwide mission for C&G Partners: Design for culture. Several years in the making, this it the result of analysis of our own work over the first ten years of our studio, reflection on the world today, and internal discussion of how we can contribute. We have also been inspired by the academic field of cultural and social anthropology. C&G Partners will remain a multi-specialty creative studio, but now with a refined purpose. 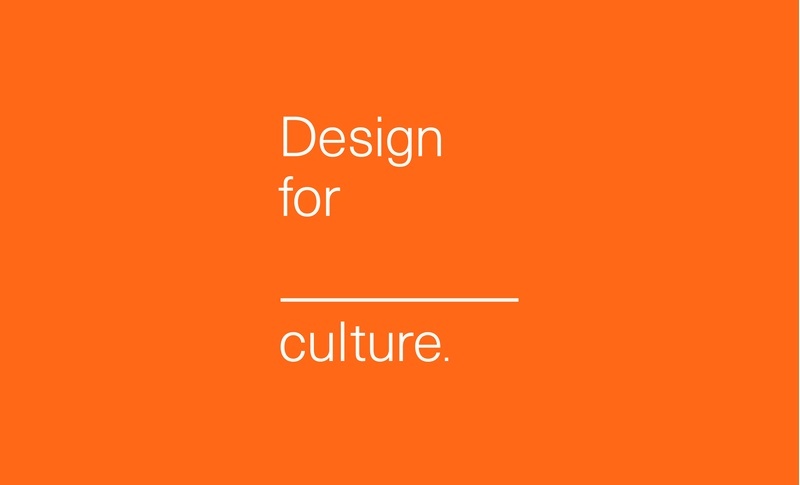 We are now dedicated to design for culture — from cultural organizations to organizational culture. We were the first to use the word "multispecialty" to describe a design studio. Now, we are the first to dedicate ourselves to design for culture. We believe in the untapped value of culture, the institutions that enrich it, and the smart companies that cultivate it. We build on that value to connect people, create community, and find meaning. To do this, we maintain truly deep expertise in multiple specialties, integrated under one roof. These include exhibits and environments, infographics, interactive, motion and multimedia, print, signage and wayfinding, websites, and visual branding. We start every project with deep immersion, listening carefully for the genuine story, especially in complex territories like the arts, science, religion and finance. We coax knotty ideas into clear narratives, then use our specialties to communicate the story with clarity, originality and style. For some clients, the result authentically transforms how others see and relate to them. For some, it transforms their own culture, revealing value they never knew was there. We believe culture is our most valuable asset, from the culture of the workplace to the culture of the arts. But it is intangible, existing as a set of created stories that a group shares. Creation of these stories is the creation of real value. Designing for culture is designing culture itself. We aim to be genuine, approachable, thoughtful, and independent. Team members are surrounded by colleagues from virtually every discipline of design, working together in a single studio. We work for great clients with engaging assignments, constantly taking on new challenges. We grow and learn from people and influences around the US and world. Visitors will usually find bikes, dogs, coffee mugs … and snacks at 3:30.